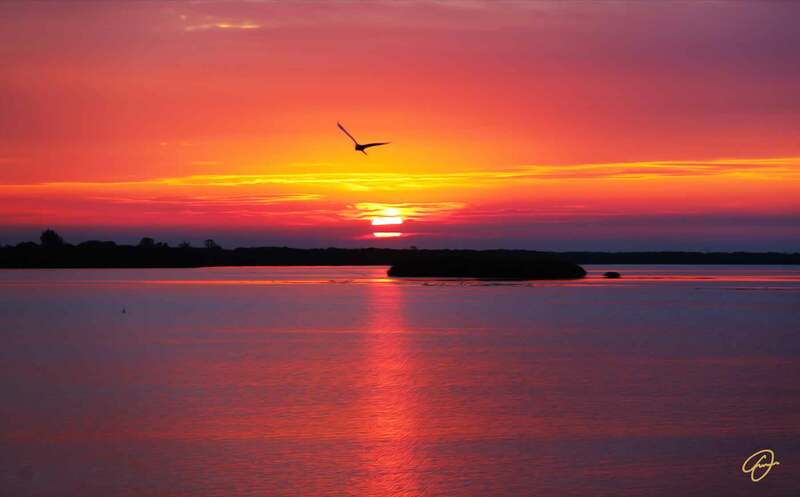 There is a bay in the United States that absorbs the colors of the sun more than others — it is Sarasota Bay. Its particular shape allows the rays of the morning to illuminate the mangroves and it leaves to the evening lights the task of writing another beautiful page, always different. Always a theater of the free flight.